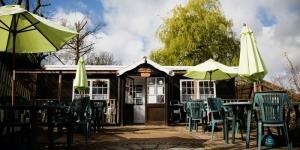 Farm shop offering a full range of fruit and vegetables, locally grown during season. Fresh and seasonal produce from across the region, sold within a fully licensed farm shop. Plants from Bill White Nurseries, locally sourced meat and dairy products, bread, cakes, biscuits, preserves and local beverages. Why not come along and enjoy a coffee and some cake or perhaps a mulled wine by our log burner! The farm is on the west side of the Severn Valley, only minutes from the historic town of Bewdley. The views from all parts are some of the best in the area of the West Midlands. Birmingham to Bewdley is 17 miles. The town is built on the river Severn and has much to offer.